The Islamic State military commander "Omar the Chechen,” who threatened Russia with a jihadist onslaught, has been eliminated, said Chechnya's leader Ramzan Kadyrov. He posted a photo on Instagram which he says is proof. “The enemy of Islam, Tarkhan Batirashvili, who called himself Omar Ash-Shishani ("Shishani" is Arabic for "Chechen"), has been killed," Kadyrov posted. "That will happen to everyone who will threaten Russia and the people of Chechnya. This will happen to everyone who sheds Muslims' blood." RT has so far been unable to verify this information. In early October, Omar the Chechen told his father, Temur Batirashvili, that the Islamic State (IS, formerly ISIS/ISIL) has plans to invade Russia, according to Bloomberg. This phone call came a month after the Islamic State issued a video threatening to include Chechnya and the Caucasus in its self-proclaimed caliphate. 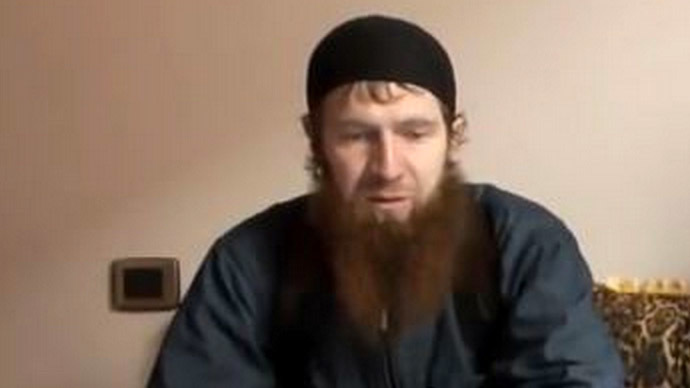 The viral video message recorded in Arabic drew an angry response from the Chechen leader. Ramzan Kadyrov vowed to prevent Omar the Chechen from reaching Russia, stating that he would be killed in the place where he made his threats. Tarkhan Batirashvili, a Georgian national, was radicalized in prison, where he was serving a term for illegal weapons possession. He was pardoned in 2012. Reportedly, due to health issues, Omar the Chechen then traveled to Syria and joined the Islamic State. He was rapidly promoted and became a top IS military commander. He previously oversaw a prison facility near IS-controlled Raqqah, where terrorists have reportedly detained dozens of captured foreign hostages, including many journalists.